* The following review is strictly my opinion and the products were given complementary for that purpose. Although this product is NOT a weight lose product, please consult with a physician prior to starting any major health adjustment in your current lifestyle or taking supplements. From the pictures above you can see how good May and June were to me! Throw a beach vacation and about 12 date nights in the mix and that accounts for the weight GAIN going into the summer . 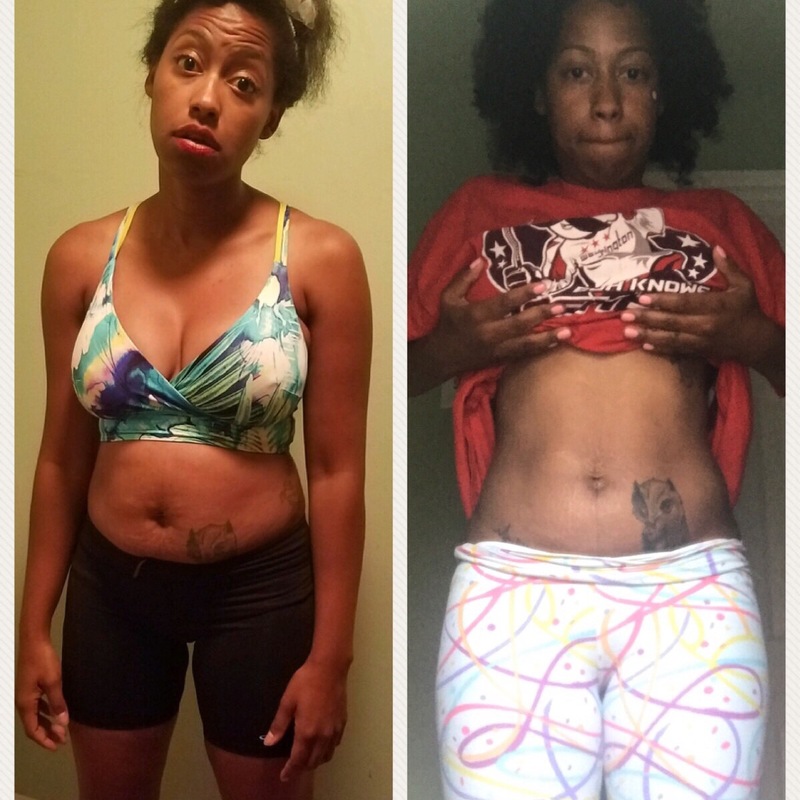 I was looking for the opposite effect sooooo with this extra couple of pounds on hand ( as seen in the July 7th picture ) I was open to a product I had heard about a couple of times. I have been inidated with ” weight loss” opportunities since I have expressed wanting to get my body back together. Many of the products do not fit my fancy but I’m always curious when I see a new product out there. I haven’t done any supplement product reviews so I was very careful about actually accepting any new offers. A company called Pruvit has been flooding my FB newsfeed for several months now and I decided to give it a try. The product that I kept hearing about is called Keto OS. Now, with the knowledge I have about keto acidosis I was VERY leary starting this product. After a week full of research, videos, testimony and information from Pruvit I decided to go along with a 10 day experience. *Please watch the video under the highlighted word ” information” for in depth information. You can also email my rep for an awesome one on one chat ! Here is a picture I was sent when I first inquired about the product. 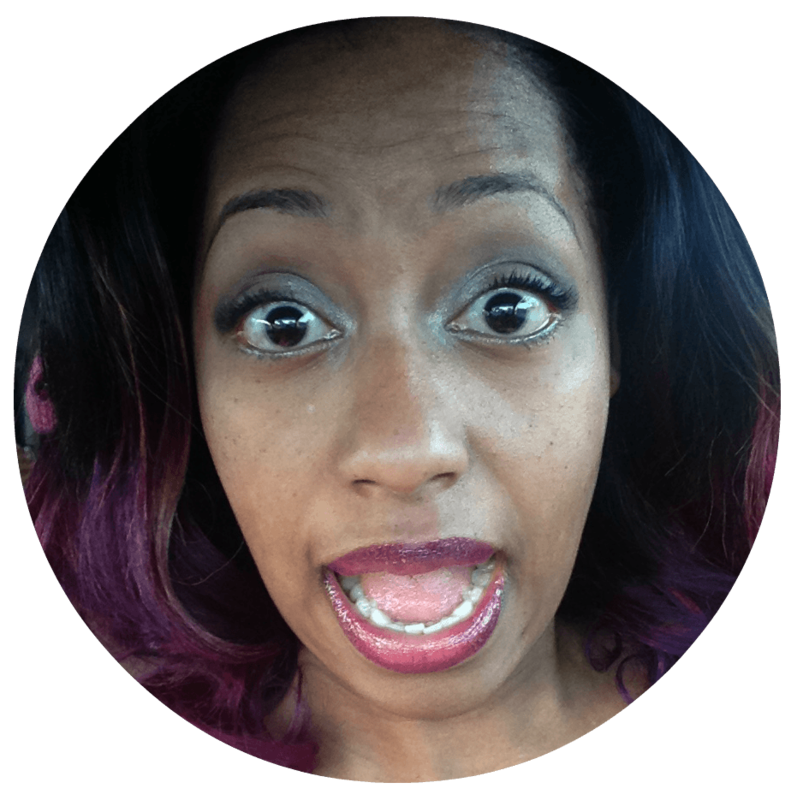 I received some information about the benefits of the product and I was super excited to start. 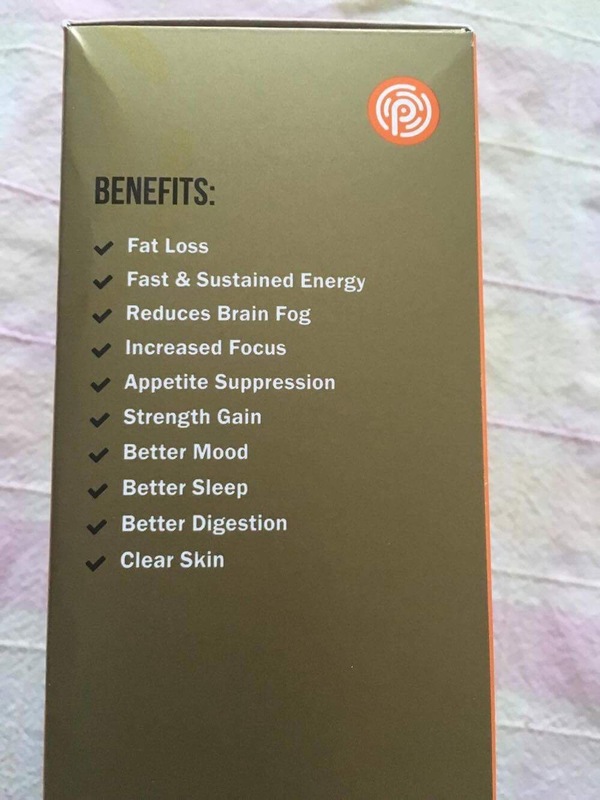 Now, I think it’s fair to repeat once again with the fact that Keto OS is NOT a weight loss product and the over health benefits really enticed me. I was excited most about the clearing of my brain fog, better mood and sustained energy. I’m generally a pretty cheerful person but after a long 24 hours of work and going home to the littles sometimes requires a little extra help… hello gallon of coffee. Day 1 started out like any other day except the idea to skip our morning coffee. Usually there is no way in hell either BB or I would do such a thing. It give us life, keeps us alive and is our only hope somedays when shuffling the schedules of all 5 kids. I wanted to have a clear picture without the coffee to see if this ” stuff” would really give us energy and boy we’re we surprised. We drank the Swiss Cacoa mix and made our way to the Home Depot which about 20 mins from home. As we got out of the car we LITERALLY danced into the store. It was the craziest thing I have ever experienced! I actually had the energy as if I drank several cups of coffee but I didn’t have the shaky hands or jitters. We were told to start out with a half a packet twice a day and boy am I glad we did. NOTE: Within 30 minutes of leaving the store I had quite a bit of stomach disturbance and remembered I didn’t eat that morning with all the morning excitement. The second doze was taken around 5 and that was a HUGE no no for me. It’s nothing for me to drink coffee late and still sleep like a baby but with the new energy source my body was wired all night long. I not only ate early on before my keto but also drank both drink early in the day. No stomach problems, no being up all night and another crazy boost of energy! I tried the orange flavor and unfortunately couldn’t stomach he taste while BB loved it! The evening portion was Maui punch and was by far my absolute favorite. Days 4-8 were pretty uneventful AND the energy stayed which I was pretty shocked about . I totally expected to have decline of that large energy boost since I was a couple of days in but I was wrong. I started to have the feeling I was coming down with another dreaded summer bug and didn’t drink my keto. I instead drank a ton of water, napped and took my DigestZen oil. On the 12th day I finished out strong with the Maui max punch once my body started to feel ” normal” again and something strange happened. I had a noticeable difference in my belly as soon as I woke up. It was almost like the lipo goblins came and sucked all my muffin top up! 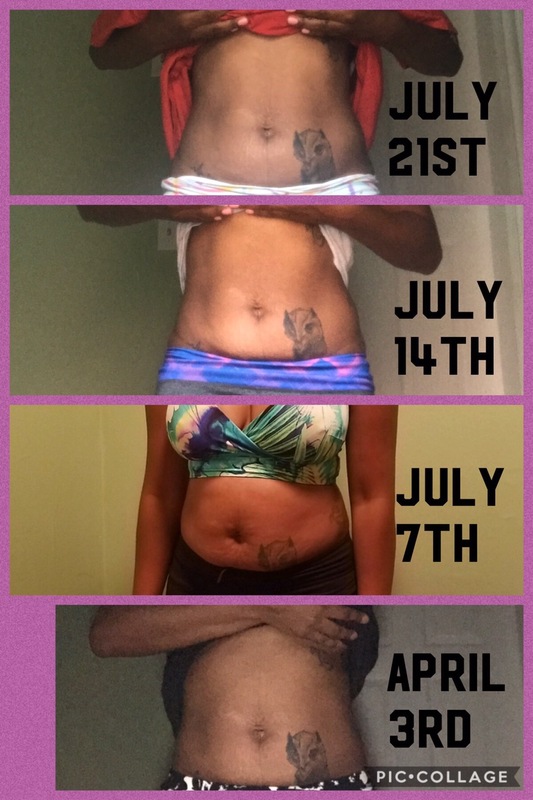 I was beyond shocked when I took my finishing pics and am excited to see what my next set of pictures look like .I haven’t weighed myself #1 because I want to be surprised #2 we don’t even own a scale LOL but as you can see the ” puff” in my midesection has gone down. That was a shock to me because even though I didn’t change my eating habits at all, I ate pizza twice during this 12 day period and buffet once and still lost inches.